This entry was posted on Friday, May 4th, 2012 at 1:35 am and is filed under Uncategorized. You can follow any responses to this entry through the RSS 2.0 feed. You can leave a response, or trackback from your own site. OMFG I’d laughed so loud whit this…. Oooh I like his new design! 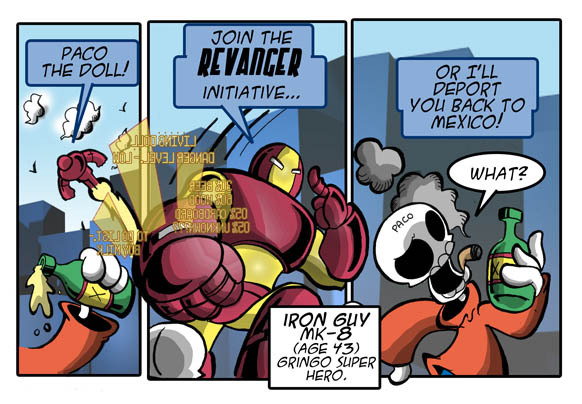 Also really that should be revEnger, but revanger is funnier..
“danger level low” really iron guy you have no idea.